One second. One conversation. One experience. One encounter. These are moments that challenge you—and change you. We all experience these moments in our lives— the moments of questioning, of discovery, of transformation. I often experience these moments while traveling. Each one of my international trips has what I call a “defining moment”—a moment that forever changes me. I know that I come back a little different every time, but most of the change happens incrementally. But there’s always one moment that impacts me in a way that’s difficult to express. It’s a moment that moves me to my core—that makes my heart burst … or shatter. In Senegal, it was a woman that I didn’t even know giving me a ring because I told her I used to have one just like it. My heart burst. Kindness became real to me in that moment. In Sierra Leone, it was seeing a little girl weeping because she dropped all the food she was supposed to sell that day. She now had nothing—no money, no food. I knew she was going to bed hungry that night. I’ve never seen a child so devastated. My heart shattered with her. Poverty became real to me in that moment. In Kenya, it was the moment I knew the Lord was releasing me into my destiny—releasing me to work in Africa. I’d found my heart where I had left it last. My heart burst as joy became real to me in that moment. My month in Zambia was filled with many memorable moments. 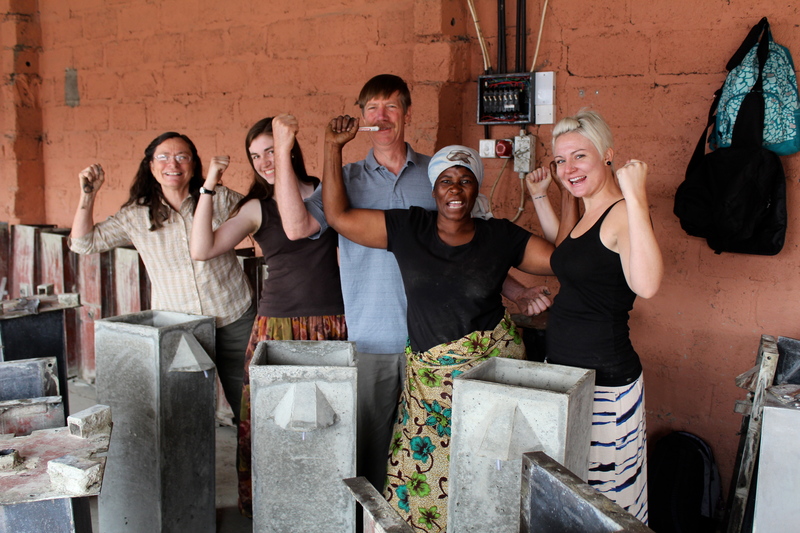 I was joined by an awesome team, the Biersdorff family, who did a little bit of everything — including building BioSand Filters, fixing sewing machines, and capturing our trip on film. I was so touched by the amazing SoHIP staff I met, and their passion to see communities transformed. Some of my favorite moments were the ones spent in the field with our Zambian staff. I had the awesome opportunity to observe our talented, expert trainers facilitate lessons on sanitation and hygiene, HIV/AIDS, and Community Health Promotion. Although there were so many impactive moments that touched my heart, my defining moment occurred after one of the HIV/AIDS trainings. One of my responsibilities while I was in Zambia was to capture stories and testimonies from our staff and the people we serve. It was a really great way to hear about all the amazing things that Seeds of Hope is doing in Zambia. We walked for Hope. Now it is your turn. 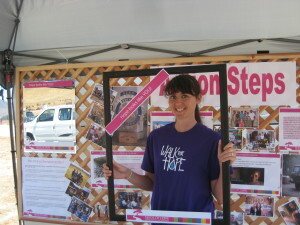 On August 3rd, we walked for Mary, Tauzen, and Safari. We walked for a nation. We walked for HOPE. 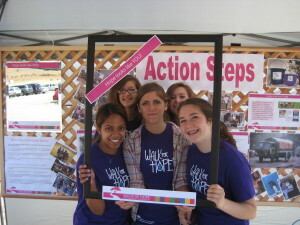 Thank you to Mountainbrook Community Church for hosting our inaugural Walk for Hope in August! It was a success, with over 75 registered participants, many local volunteers, and media coverage from our local television station, KSBY! We were thrilled to see many different teams formed, from small church groups as well as local businesses. 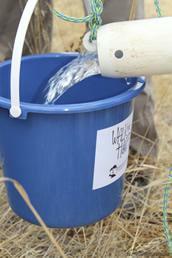 Participants walked either 1 or 5 miles, and were able to experience pumping their own water! Along the way, they also interacted with stations displaying the successful holistic solutions that SoHIP has implemented to reverse the cycle of poverty and create healthy homes in Africa. 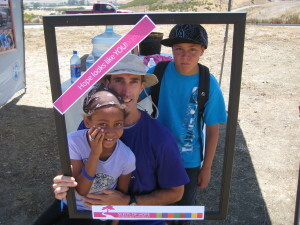 This interactive experience educated and inspired volunteers and participants alike. 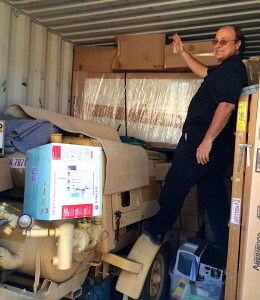 It was encouraging to see so many people excited about the difference that SoHIP is making in Africa! 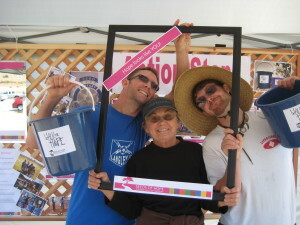 We welcome the whole San Luis Obispo community. We hope you can join—it’s not too late to sign up! 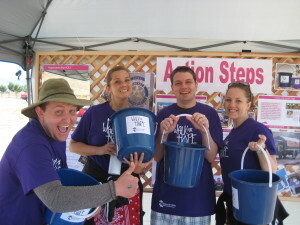 Register to walk or volunteer at the event atwww.sohip.org/walkforhope. Don’t live in the San Luis Area? 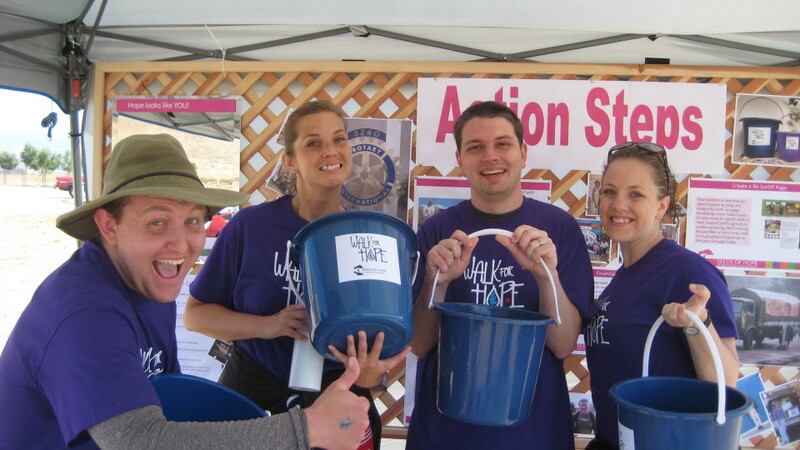 Contact us atinfo@sohip.org for other ways to get involved or to host a Walk for Hope in your community.We are excited about our upcoming Walk for Hope on October 12, 2013 at Laguna Lake Park in San Luis Obispo! This beautiful park creates a perfect venue as the trail begins alongside the lake, where participants will collect water to carry the rest of the route. The trail will end with a display of Action Steps—ways in which community members can get involved and help SoHIP reverse poverty. We are also excited to be offering entertainment from the Bucket Busters drum circle, and team prizes! SoHIP has been awarded a Matching Grant from the Rotary Foundation, which supports the humanitarian service projects of Rotary clubs and districts. We are so thankful for the Rotary Clubs from District 5240 in California, and the Ndola Mukuba Rotary Club in Zambia, for enabling us to provide vocational training to disadvantaged youth and women. For this project, District 5240 has purchased equipment and supplies for Seeds of Hope’s carpentry, water quality testing laboratory, computer-based business, and sewing vocational trainings, and will be shipping a container filled with all that, plus material contributions from our wonderful donors, to strengthen the training center in Zambia. At this training center, students will have the opportunity to gain the knowledge and skills necessary to become qualified for employment, or even start their own small businesses. 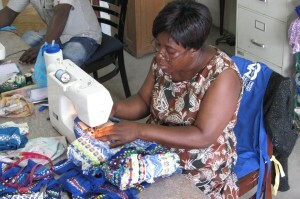 Students will also be able to purchase the tools of their trades—sewing machines, laptops, carpentry tools, etc.—through a micro-finance system, payments on which will finance the purchase of tools for future students. With between 75 and 100 students projected to be trained each year, this program will promote lasting transformation, and provide opportunities for disadvantaged Zambians to lift themselves out of poverty. Seeds of Hope is very excited about this project and the possibilities of establishing more amazing partnerships. 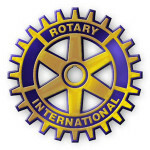 We would love to see our efforts to bring hope and health multiplied throughout Africa, and we greatly appreciate the generous partnership of Rotary International in helping to make that happen. Seeds of Hope partners with a range of organizations, from UNICEF to local non-profits. We recognize that the need we are responding to is greater than we can meet alone, and value the opportunity to collaborate with others. The Soroptimist is an international organization for business and professional women who work to improve the lives of women and girls, in local communities and throughout the world. Almost 95,000 Soroptimists in about 120 countries and territories contribute time and financial support to community–based and international projects that benefit women and girls, such as Seeds of Hope’s work. 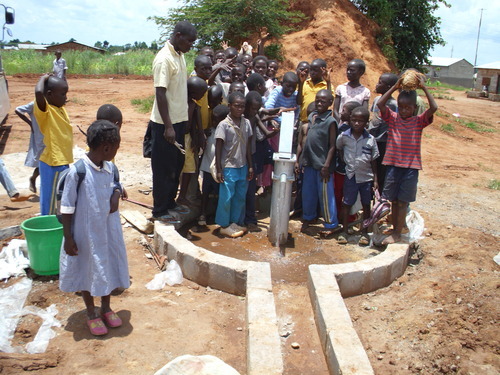 Teachers and students of the Twikatane Community School were once stricken by diseases due to lack of safe water at the school, but in February of 2012 Seeds of Hope drilled a borehole well, giving access to clean water! Harry Ndaba of the Kawama Habitat in the Copperbelt Providence, thanked Seeds of Hope for drilling a borehole in their developing compound! Although this community has access to latrines, over 4,000 people did not have access to safe water in his area and were suffering from “running stomach”, colds, and fevers due to drinking from hand dug wells. In mid-April of 2012 Robert Chinyama of Kaniki Kamalasha thanked Seeds of Hope and Atlas Copco for drilling a new borehole well in his community! 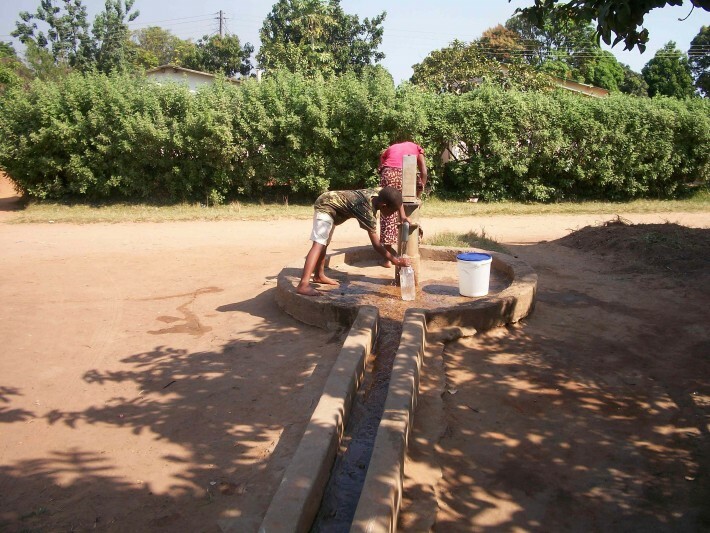 He spoke on behalf of the community and said it was good and important for them to have clean, safe water. Earlier this year, David Chongo, a community member of Kafubu Block Village 3, thanked Seeds of Hope for drilling a new borehole community well in his area!